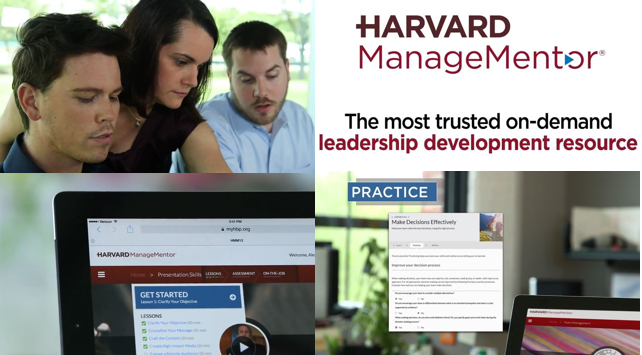 We successfully kicked of the first Harvard ManageMentor program for SME’s on 2 April 2018, and the participating companies and their learners are absolutely delighted with this incredible year-long program and the value that it offers! Here for instance is unsolicited feedback from one of the learners: “I must tell you that I am LOVING the course!! I miss studying, learning. I was getting ready to do another course when this came up and it is brilliant. Honestly”. It is really a no-brainer if you are looking to develop leadership and management skills in your company. The number one education brand in the world, best global experts, latest design and most effective learning methodology, best content, updated every three months, at the best price! Only R9,850 (ex VAT) per learner for a whole year access to all 41 courses! But the good news for all of you who missed the first intake, is that we will launch a second cohort on 2 April 2019 and we invite all SME companies in Africa to join for the amazing opportunity. The opportunity for nominated employees to enroll for a whole year, and have access to all 41 courses. A Webinar on launch to introduce the program to all learners. A monthly report to you on all enrolled students’ progress. Learner support will be provided by a success coach on a cohort basis. The companies as well as their learners are supported by occasional webinars. Attendance of workshop sessions for employees for selected modules (optional). And what do enrolled employees get? The best education with content fueled by the latest in thinking and proven practices. The opportunity to collaborate with peers also enrolled on the program. Learner support from a course coach. Valuable new insights and new skills. A Harvard ManageMentor certificate reflecting each course successfully completed. The big problem is that online on-demand education has extremely low completion rates if students work on their own initiative, and without assistance and supervision. The managed solution of Enterprise Dynamics takes care of this problem thereby ensuring high student engagement with very high completion rates. So the solution is not only extremely affordable for SME’s, but also highly effective. Only 1,000 seats are available for all SME companies in Africa on a “first come, first serve basis”. You are welcome to make contact at kosie@enterprise-dynamics.co.za or 082-449-9097 for more information or a personal discussion. If you elect to participate please download the learner enrollment form here, and return the completed form with the list of selected learners. Enterprise Dynamics will then issue a VAT invoice when sufficient numbers of learners are subscribed. All bookings must be received by 28 February 2019. Access for all students will then open soon after the launch on 2 April 2019, for a 12-month period until 1 April 2020. We look forward to your enrollments and supporting your learners on this exciting learning journey! I am a smaller farmer who has not registered a company but I have plans for expansion in 2020. I keep about 100 cattle and want to move to Dairy farming in the future. I am very much interested in the mentorship programme.